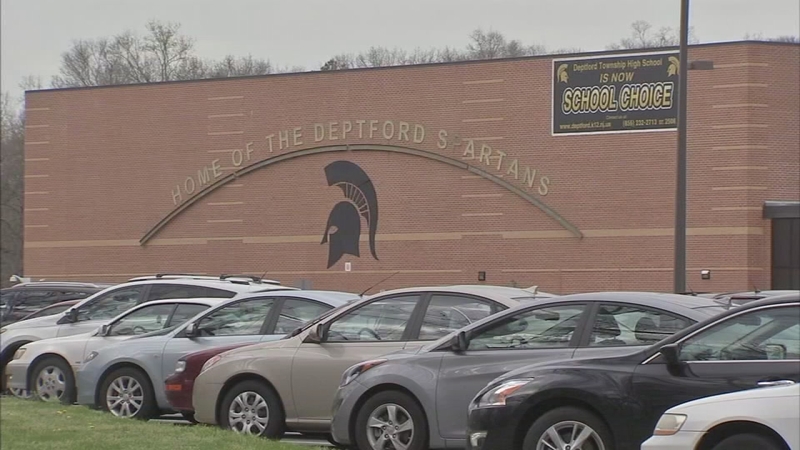 DEPTFORD, N.J. (WPVI) -- A student attacked a classmate with a small hand weight during an altercation at Deptford High School in Gloucester County, police say. The Deptford Police Department responded to the high school around 5 p.m. Tuesday for the report of a fight between students. Police say during the altercation, one male student struck another male student with the weight. Students were able to separate the two prior to police arriving to the scene. The student who used the weight was taken into custody and charged with Aggravated Assault and Possession of a Weapon with an Unlawful Purpose. He was later taken to Camden County Youth Detention Center. Arriving officers found the other student was bleeding from his head. They say he sustained injuries to his head and face. The student was transported to Cooper University Medical Center and later released after medical treatment. Police are working with school officials, but say it appears to be an isolated incident. Anyone with additional information can contact Detective David Wentz at 856-845-6300, ext. 1208.